Caucasian Child Boy Playing Toy Red Tractor, Excavator On A Sandy Beach By The River In Red Shorts At Sunset Day. Lizenzfreie Fotos, Bilder Und Stock Fotografie. Image 115334718. 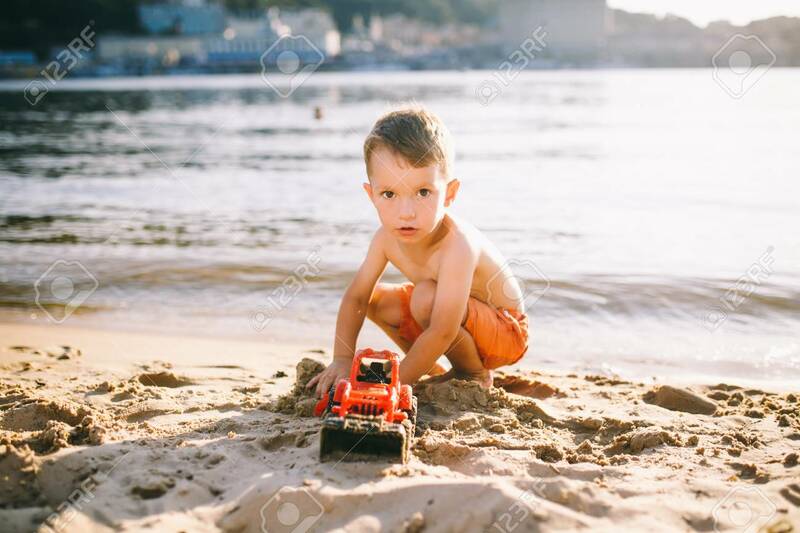 Standard-Bild - Caucasian child boy playing toy red tractor, excavator on a sandy beach by the river in red shorts at sunset day. Caucasian child boy playing toy red tractor, excavator on a sandy beach by the river in red shorts at sunset day.